Estimated delivery date: 3-5 business days after the payment. *Please note: This item does not include a light base. 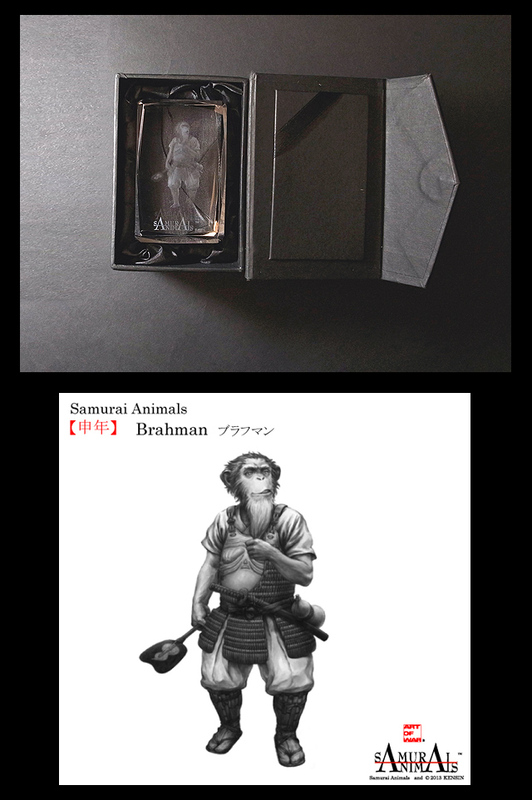 "SAMURAI ANIMALS" is a combination of two important elements - "Samurai" and "animal characters"- into a single concept. Samurai culture is now prevailing in tthe world, and animal characters have long played an important role in licensing. Thus, by amalgamating these elements, SAMURAI ANIMALS is undoubtedly able to achieve a high level of marketability. 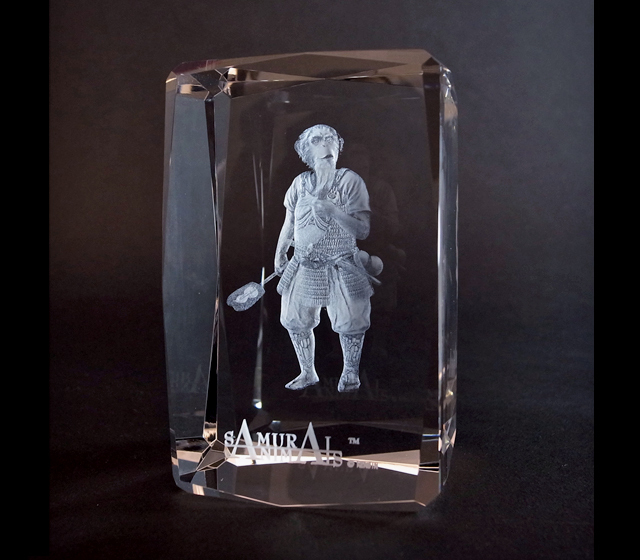 "SAMURAI ANIMALS" is a story of the battle among 12 Japanese samurai animals. Their origin is from the 12 animals of Zodiac, and in the story they are divided into two warring armies. 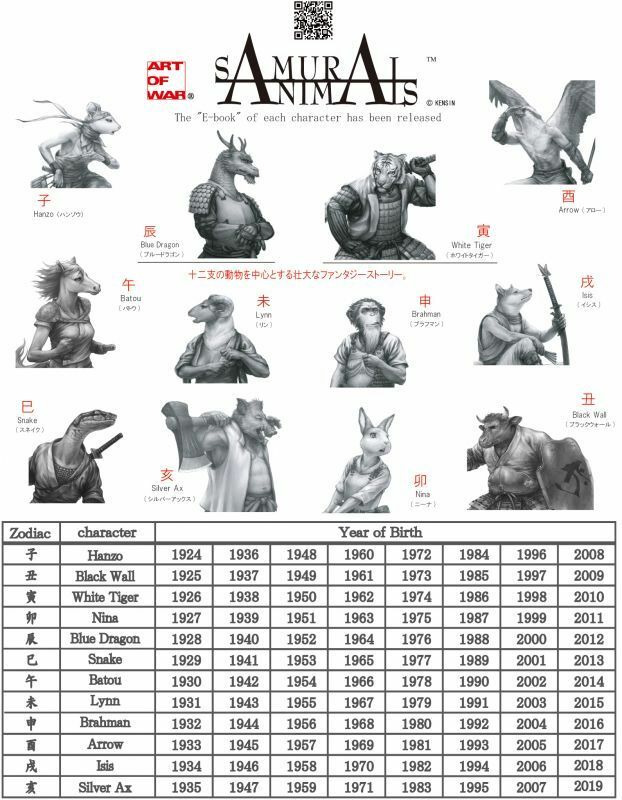 People can identify themselves with a particular animal character depending on the year of the birth, or choose their favorite one. Brahman is the Chief-of-Staff in The Blue Dragon team. 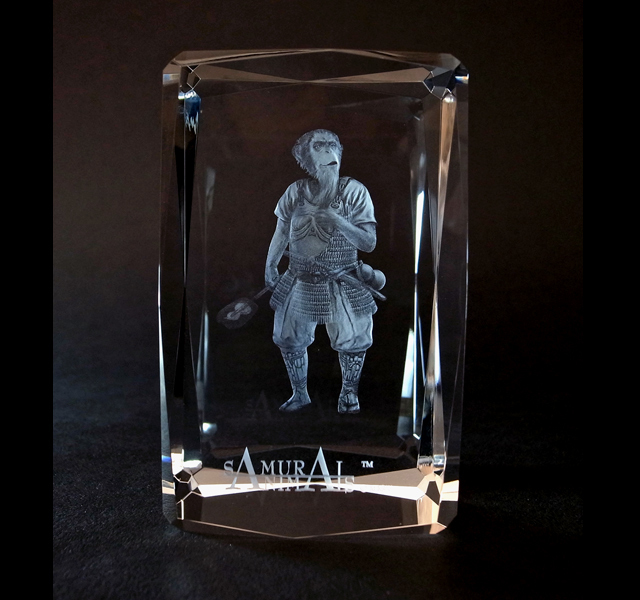 The images that produce this fine product are made up of millions of tiny dots produced by a high performance laser engraving machines imported from Italy. 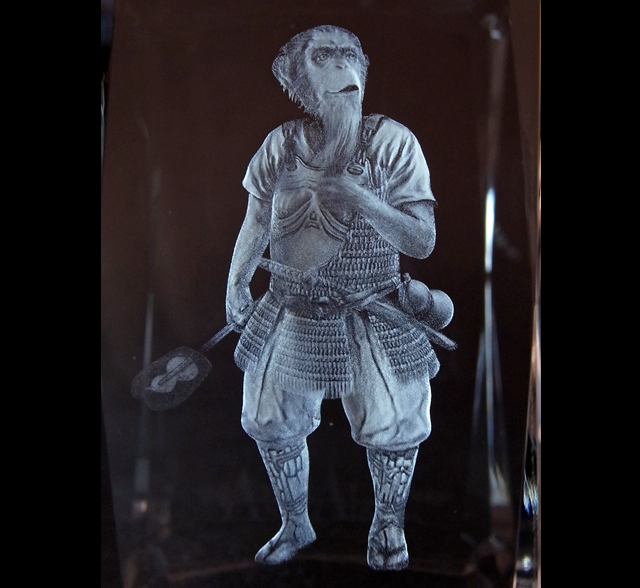 Compared to other crystal figure products, you will be surprised at the high level of detail. Every feature is well represented; we believe you will enjoy the authenticity and outstanding design of this product. he Zodiac is a concept that relates each year to an animal and its reputed attributes, according to a 12-year cycle. It has a long tradition in Asian countries, such as Japan, China, Russia, Korea and Taiwan. People are strongly attached to a particular animal character depending on their year of birth.